One of the first things I came across when researching locs and my decision to loc my hair, was the misconceptions of having locs. I found out through my research and my journey, that many of the misconceptions behind locs are false. I have had many people disagree with my decision to loc my hair, while others have fully supported it and love my hair. So, here are my top 8 misconceptions that I have seen with growing or deciding to get locs, and how my personal experience led me to believe they were false. Locs are dirty: Actually, I keep mine very clean and I pride myself on how much I wash my hair. I keep my hair washed on a regular, every 2-3 weeks. I go to the gym about 4-5 days a week, so by the second week, my hair smells kind of weird, at least to me. So I make it a mission to keep my hair clean and kept up on a regular basis. It gives me a sense of pride to know that I can kill any and all myths about locs by holding my own crown to a certain standard. Locs can never be taken down: Yes, yes they can. One thing I did before taking this step was research as thoroughly as possible everything I could possibly know about locs. One thing I did find out, is that you can take your locs down. It is a daunting and tedious process, but it can be done. Would I do it? Hell no, but it is possible. Locs are time consuming: When my hair was relaxed, it took about 15-30 minutes to put in the relaxer, had to sit for 5-15 minutes, wash (at least 3 times), condition (to make sure the smell and perm remnants were gone), then blow dry and style. When I was natural, I had to pre-poo (20 minutes), detangle (30 minutes), separate, wash (at least 2 times), detangle one more time (20 minutes), style (10-45 minutes depending on style)….both of those total to around 2+ hours of hair time. Now that I have loc’d my hair, it takes 15 minutes to wash, and I have dropped my retwist time down to about 45 minutes, if I don’t pause and take breaks. See why I am happier now with locs? 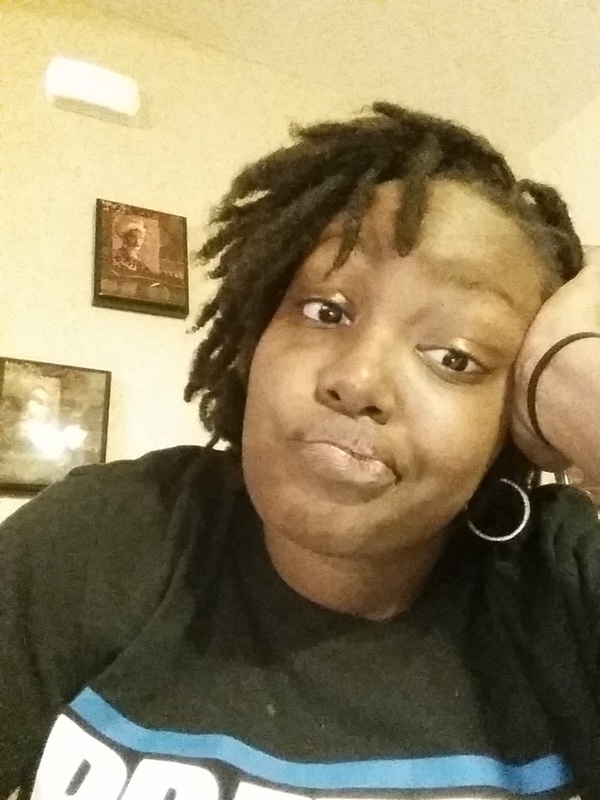 Locs are hard to maintain by yourself: I started my locs with 2-strand twists. I learned how to retwist by Google and YouTube. Let me say this, YouTube has more answers than you have ever dreamed of, lol. You don’t need to keep your hair moisturized: If you want soft, beautiful locs that aren’t dull and lifeless, then I suggest you use SOMETHING to keep them moisturized. I tend to use essential oils, or an oil/water combination to keep my hair from being dry and brittle. People get locs, so they can smoke weed: Uh, I don’t know who made this up, and whoever really thinks this is true, is a sad individual. So, there you have it. Have you heard any far-fetched lies about having locs? Previous Post Will Justice Be Served ? Well said I had to share this. Yes locs are as versatile as loose hair. It can be cut, colored, and styled any way. Question how long did you wait to wash when you started?